Announcing the Ceramica Traveling Gnomes Summer Long Contest! Most Likes: Stephanie J wins an 8gb iPod Touch for her Gnomeo proposed on a cruise picture. Most Creative Picture: Amber T. wins $50 cash for her Idaho Hot Springs picture. Most Unique Location: Melissa B. wins $25 cash for her gnome picture on Tony Stewart’s tool box at Indianapolis Motor Speedway. Furthest from Boise, Idaho: Heather C. wins a $25 gas card for her gnome picture on the beach volleyball court at the 2012 London Olympics. Ceramica staff favorite: Heather C. wins a $50 Ceramica gift certificate for her gnomes’ picture with beach volleyball gold medal winners Misty May-Treanor and Kerri Walsh Jennings. Thank you all for participating and congratulations on your prizes. We look forward to doing this again next summer! Facebook page and let your friends and relatives know to also ‘like’ Norwood’s page so they can vote for your gnome’s picture(s). The owner of the gnome picture with the most likes when the contest ends at 9pm on September 3rd wins an 8gb iPod Touch!!! Contest starts June 7th, 2012 and ends at 9:00pm on Monday, September 3rd, 2012. 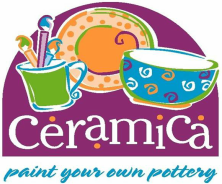 Ceramica employees are not eligible to participate.